Property Elite’s sole aim is to build better property professionals - supporting your career every step of the way, whether you are completing a RICS accredited degree course, your RICS APC/AssocRICS or simply seeking engaging CPD. If you are a RICS APC Senior Professional Assessment candidate, then why not check out our longer-term support and training? Our Monthly Mentoring package is perfectly aligned to providing ongoing support at a discounted cost, ensuring that you are fully advised on the process from start to finish. The RICS APC Senior Professional Assessment is suitable for individuals 'with leadership and management responsibilities who are recognised for their impact and career progression'. You can read more here about the eligibility criteria, vetting procedure and download the relevant RICS guidance. You can also sign up to request your Property Elite Ebook Guide to the Senior Professional Assessment. In previous blog articles, we have written about the Senior Professional route process, tips for success and how to fill out your vetting form. In today's audioblog we will discuss the three Senior Professional competencies and how you can meet them in your final assessment submission. Property Elite’s sole aim is to build better property professionals - supporting your career every step of the way, whether you are completing a RICS accredited degree course, your RICS APC/AssocRICS or simply seeking engaging CPD. According to RICS, the RICS APC referral rate is nearly 40% because candidates don't: Understand what's included in the process Know how to demonstrate their competencies Show evidence of their technical knowledge and professional experience So, in today's podcast, we are going to look at 5 key areas where we have seen RICS APC candidates struggle in the written submission and final assessment interview. We will also give you advice on how to avoid these and seek success in your RICS APC final assessment interview this Spring. Property Elite provides support, training and CPD to RICS APC, AssocRICS and Senior Professional candidates, qualified Chartered Surveyors and students. Our Hot Topic Highlight podcast series will arm you with information on the hottest topics - ready to tackle an important client meeting or begin revising for your RICS APC final assessment. Today, we will be discussing 5 things to know for your Spring 2019 RICS APC - make sure you know about those relevant to your chosen pathway and experience. Property Elite provides support, training and CPD to RICS APC, AssocRICS and Senior Professional candidates, qualified Chartered Surveyors and students. Our Hot Topic Highlight podcast series will arm you with information on the hottest topics - ready to tackle an important client meeting or begin revising for your RICS APC final assessment. This episode will focus on the highlights of the Law Commission’s open consultation on Right to Manage. Property Elite provides support, training and CPD to RICS APC, AssocRICS and Senior Professional candidates, qualified Chartered Surveyors and students. Our RICS APC Lifeline podcast series aims to equip you with the information, knowledge and skills to pass your APC with flying colours. In this episode, we give you our top 5 tips to revise for your RICS APC this Spring. Property Elite provides support, training and CPD to RICS APC, AssocRICS and Senior Professional candidates, qualified Chartered Surveyors and students. Our Hot Topic Highlight podcast series will arm you with information on the hottest topics - ready to tackle an important client meeting or begin revising for your RICS APC final assessment. This episode will focus on sustainability, in particular the new Better Buildings Partnership Acquisitions Sustainability Toolkit. Property Elite provides support, training and CPD to RICS APC, AssocRICS and Senior Professional candidates, qualified Chartered Surveyors and students. 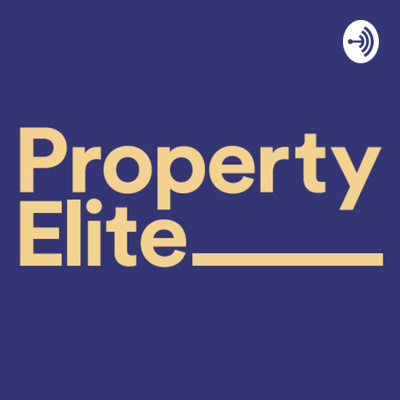 In this episode, Property Elite are proud to announce that we will be partnering with CREation Property Network. We also discuss the benefits of networking for RICS APC candidates. Property Elite provides support, training and CPD to RICS APC, AssocRICS and Senior Professional candidates, qualified Chartered Surveyors and students. Our Hot Topic Highlight podcast series will arm you with information on the hottest topics - ready to tackle an important client meeting or begin revising for your RICS APC final assessment. In this episode, we will focus on what you need to know about the General Data Protection Regulation (GDPR). Property Elite provides support, training and CPD to RICS APC, AssocRICS and Senior Professional candidates, qualified Chartered Surveyors and students. Our Hot Topic Highlight podcast series will arm you with information on the hottest topics - ready to tackle an important client meeting or begin revising for your RICS APC final assessment. In this episode, we will focus on break clauses - what are they and why can they be so contentious? Property Elite provides support, training and CPD to RICS APC, AssocRICS and Senior Professional candidates, qualified Chartered Surveyors and students. Our RICS Alert blog series provides you with the latest updates on professional standards and guidance. In this episode, we will focus on what you need to know as a valuer about the latest update to RICS Valuation - Global Standards 2017 (otherwise known as the Red Book). Property Elite provides support, training and CPD to RICS APC, AssocRICS and Senior Professional candidates, qualified Chartered Surveyors and students. Our RICS Alert blog series provides you with the latest updates on professional standards and guidance. In this episode, we will focus on what you need to know about the latest update to money laundering regulations. Property Elite provides support, training and CPD to RICS APC, AssocRICS and Senior Professional candidates, qualified Chartered Surveyors and students. Our RICS APC Lifeline podcast series aims to equip you with the information, knowledge and skills to pass your APC with flying colours. In this episode, we help you check that you are on the right path with your final assessment submission. Property Elite provides support, training and CPD to RICS APC, AssocRICS and Senior Professional candidates, qualified Chartered Surveyors and students. Our RICS APC Lifeline podcast series aims to equip you with the information, knowledge and skills to pass your APC with flying colours. In this episode, we will focus on communication, which is one half of a mandatory RICS APC competency (Communication and Negotiation).